It keeps you fresh throughout the day with its lovely, subtle and refreshing fragrance, keeping the body odor away. Sprinkle all over your body to get that fresh feeling and to get that smooth and silky skin. Explore the entire range of Talcum Powder available on Nykaa. 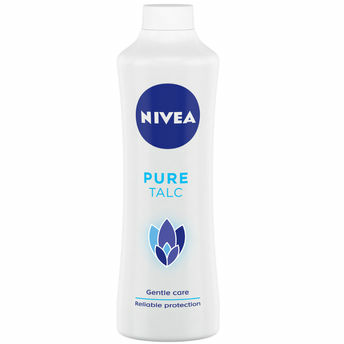 Shop more Nivea products here.You can browse through the complete world of Nivea Talcum Powder .Alternatively, you can also find many more products from the Nivea Pure Talc range.